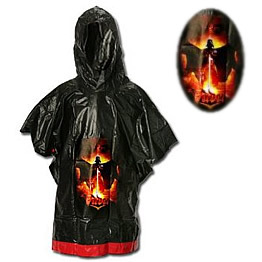 Boys size 4-7 vinyl rain poncho with Darth Vader design on the front. Snaps closed (2 snaps on each side). Chest/Body (all the way around): 51", Arm span: 31.5", Height: 27" from shoulder to bottom.